Accuracy 1/10000 ――― Top-of-the-line compression / tension type loadcells uniquely developed through the perseverance of Unipulse. They are the USB58 series. 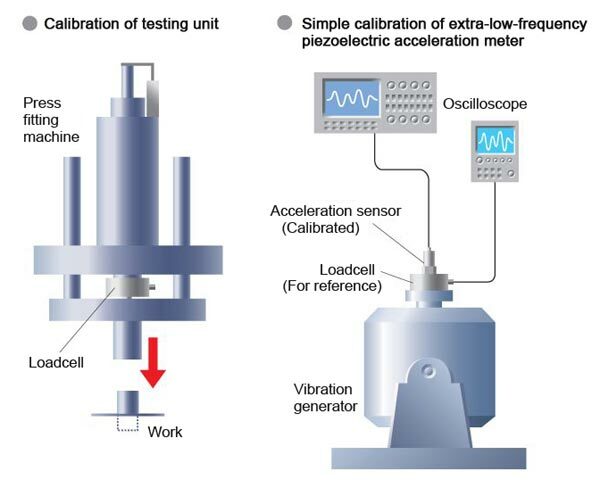 ■ Usage: Applications in fields that require high accuracy such as calibration of testing units, in-house standard devices, etc. With high accuracy, they are ideal for calibration, research and development of testing units and measuring equipment, and weighing / measuring applications in the fields required for accuracy. Since these loadcells are compact and lightweight, you do not need to be site-specific when installing them. They are highly resistant to overload, and maintenance is easy. They are also excellent in durability with less deterioration with age. Accordingly, they can be used stably for a long period of time. With regard to non-linearity, hysteresis and repeatability, accuracy of 1/10000 was realized. High-accuracy allows usage of calibration of testing units or as in-house standard equipment. Prevention of excessive current flow insures stable use. With high accuracy realized in compact and lightweight design, easy installation is possible. The circuit part is sealed. High resistance to overload insures long-term stable use with less deterioration with age. φ5 6-conductor color shield cable. Length 5m.